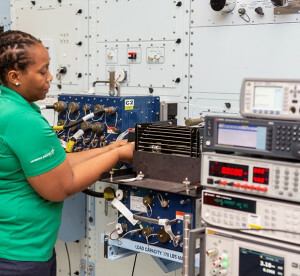 Lockheed Martin technicians build and test eCASS stations, which troubleshoot and repair avionics for Navy aircraft, at a facility in Orlando, Fla. The U.S. Navy has awarded Lockheed Martin a seven-year contract worth up to more than $500 million to build and deliver more than 200 plus electronic Consolidated Automated Support Systems to maximize aircraft readiness. The previous Navy CASS contract awarded in 2000 to Lockheed Martin was worth $287 million.